It’s been a tough couple of years for brick and mortar retail stores. And an unprecedented increase in revenue generated by online retailers — chief among them Amazon, which reported earnings of $177.9 billion. The narrative most commonly used to explain this phenomenon comes directly from that last bullet: customers prefer shopping online, and companies operating predominantly out of physical storefronts have been too slow to adapt. There may be no company that exemplifies this narrative more than Toys R Us, whose demise earlier this year was front page news. The shock has lingered. For America’s retailers, the story of Toys R Us has become the ultimate “cautionary tale,” as Bloomberg posited last spring. But here’s the thing: the rise of online shopping alone didn’t kill Toys R Us. That narrative is incomplete. Rather, Toys R Us made at least four crucial mistakes which ultimately led to its withering decline. 1) It’s not about what you sell — it’s about how you brand it. Nike sells shoes and sportswear, but their brand doesn’t convey that fact. Their brand suggests that Nike does much more — that they impact culture. Serena Williams persisting through adversity to become the best tennis player of all time. LeBron James commanding the energy and attention of an entire arena thrumming with fans. Michael Jordan defying the rules of gravity. In other words, when you think of Nike today, you think of persistence through struggle, success through sweat, achievement by way of hard work. You think of a sort of athletic version of the American Dream. That’s the effect, after all, of Nike’s ubiquitous “Just Do It” slogan. Now, consider Toys R Us. When you think of Toys R Us, what do you think of? A giraffe and rickety rows of plastic toys. From Mattel to Hot Wheels, Toys R Us relied on the success of other brands to carry their stores. Yes, Toys R Us served as a one-stop shop for all sorts of toys, but so, too, do places like Walmart and Amazon — places where you can buy a wide variety of toys along with everything else you might need. 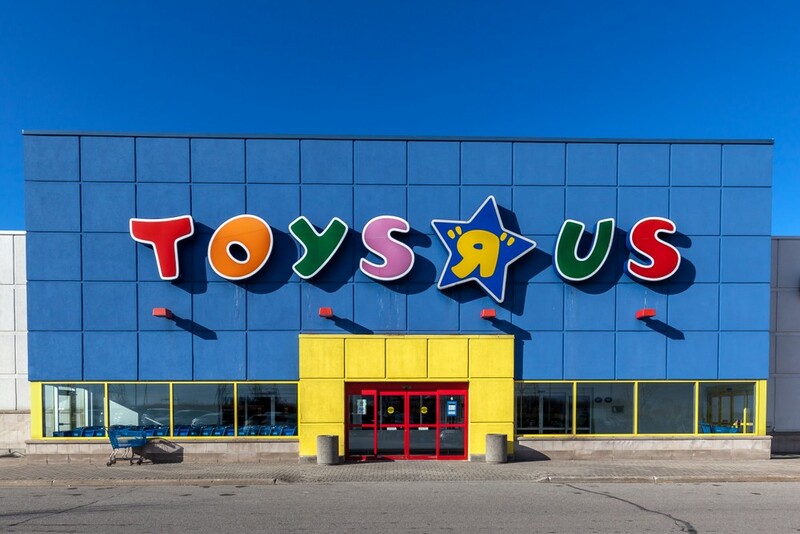 Toys R Us should have done more to do things like develop their own toys, which would have won them more name recognition and brand loyalty. But instead of more purposefully encouraging kids and parents to fall in love with Toys R Us the company, kids fell in love with the things Toys R Us happened to sell — things their parents could buy anywhere. Branding and messaging is what encourages customers to fall in love with companies, as opposed to strictly appreciating their products. 2) You must choose your end consumer wisely. Speaking of parents, they’re the ones who buy toys — not kids. And that’s another key mistake that Toys R Us made. It should have shifted its strategy to market more directly to the consumers who had buying power. One way to do this would have been selling toys that were definitively beneficial for their children, as opposed to potentially detrimental. Because that’s what new generations of parents began to demand. Though they had started to make overtures to appeal to that new consumer base, by the time Toys R Us was able to make meaningful adjustments like this, it was too late. 3) Your customer’s in-store experience needs to be outstanding. It’s easier to compare and contrast prices. Many brick and mortar retailers have tried to overcome these facts by engaging in something of a price race against the online conglomerates. In other words, they’ve sought to undercut them. This was — and remains — a recipe for disaster that’s destined to fail. Walmart, for example, remains prepared to price match. How could Toys R Us ever compete? The only advantage brick and mortar stores have over online retailers is the ability to make the act of walking into the store an experience. Toys R Us failed at this. Instead of creating a sense of cinematic wonder like FAO Schwarz, Toys R Us felt like an oversized, overly stressful warehouse. The experience of visiting a Toys R Us, by the end, simply wasn’t enjoyable. It’s no wonder parents opted for the ease of buying toys at Amazon instead. The experience didn’t justify the effort. 4) You need to change with the times. Now, finally, we arrive at the mistake so many like to point to as the sole harbinger of Toy R Us’ demise. And while it’s decidedly not the only reason Toys R Us failed, it does remain relevant: Toys R Us didn’t keep up with the generational shift to online consumerism. The sad thing is, back when it would have mattered — in the early 2000’s — it had ample opportunity to do so. It had the requisite firepower. But company leadership invested its resources elsewhere, primarily in paying off the debt its private equity backers had loaded it with. The result? Toys R Us fell behind the times. Which is exactly what companies who seek lasting success can’t afford to do.